Pharrell Williams is in our Studios! 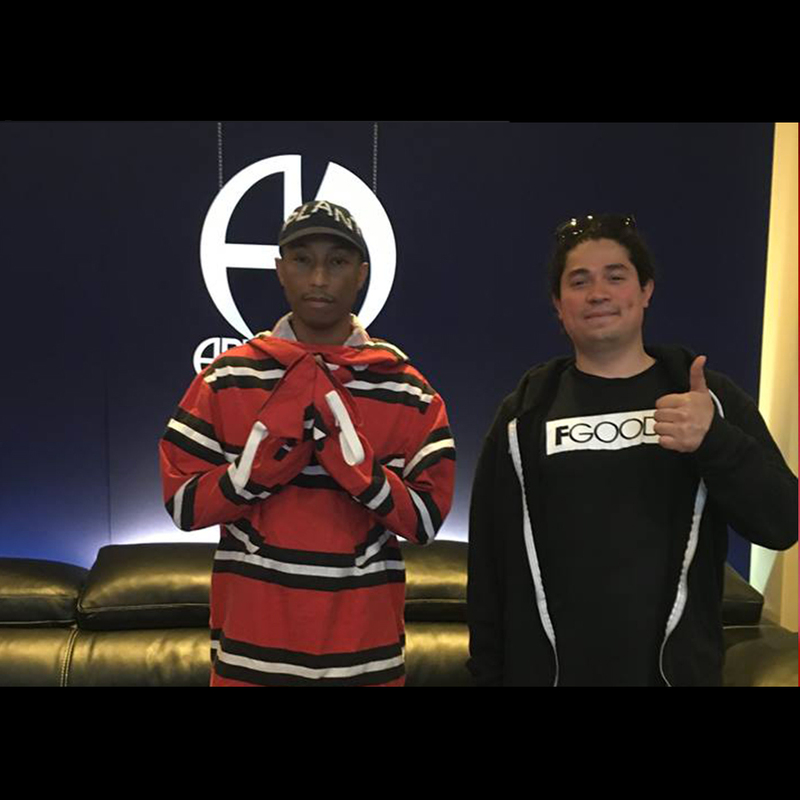 One of the biggest producers and singers ever, Pharrell Williams, just stopped in our Studios for a huge Session. Mostly known for the hits “Happy” and his feature in Daft Punk’s “Get Lucky”, his collaborations with Madonna, Jay-Z, Kanye West, Justin Timberlake, Britney Spears, Calvin Harris and Frank Ocean, he’s also a songwriter, producer, rapper and entrepreneur. His single “Happy” achieved the Gold Record Award twice, the Platinum twelve and even the Diamond once. We’re looking forward to having you back here at Art&Music Studios! The A&M Studios represent one of the best facilities in Europe for music recording, both for quality of the construction techniques applied as well as for their versatility and comfort. Great consideration was given to design perfection and to the realization of a complete sound insulation of the rooms, in order to make them perfectly fit for each function (recording, editing, mixing, post-production, mastering). A surface of more than 200 square metres divided into 5 shooting areas, a Drum Booth, a Piano Booth and a 100 square metres Main Recording Areas among the others, which allow up to 50 orchestrals simultaneously. All locations are completely soundproof, equipped with autonomous ventilation systems and are all connected to each other as well as to both Control Rooms.